Our training methodology distills a lifetime of experience into comprehensive, principle-based, concepts. We use experiential, reality-based training and meta-learning principles to help you internalize key combat principles and precepts in an abbreviated time. You will learn how to set up your adversary so that you have a significant tactical advantage. You will learn to severely maim, disable and/or incapacitate an attacker within one and one-half to two seconds. You will also learn how to disengage from or how to control a subject with very little effort. Nothing I teach you will take more than ten percent of your overall strength. Simply put, you will have the ability to evaluate whether to select a control technique or to disable or to kill your opponent. Many of these techniques are violent. This does mean that I think violence is the only answer or even the first answer. However, when it is, you should not be found lacking. Attire should be comfortable workout gear such as sweats and a t-shirt and athletic shoes. This is not an exercise class. Many of us have experienced significant wear and tear on our bodies. You are likely capable of participating in this course. If you have any concerns about this just ask me. This material is such that, in order to remain socially responsible, participants cannot have a history of felony drug possession, domestic violence, resisting arrest/obstruction of justice, or any violent criminal history. Once you have joined us for your combat training experience, you will forever remain our guest. You will have lifetime access to the full seminar at any location. Forever. You will also have my gratitude for being willing to give of yourself and for supporting me as I take my dream to the world. In the seminar I am going to share secrets that most martial artist never learn. Those few that do acquire this level of expertise are typically not willing to share it. Inversely, I have perfected the art of sharing my knowledge. I have distilled my training methodology into reality-based, principles and concepts integrated into experiential training. With the principles of meta-learning, I am capable of helping you internalize key principles and precepts in an abbreviated time. 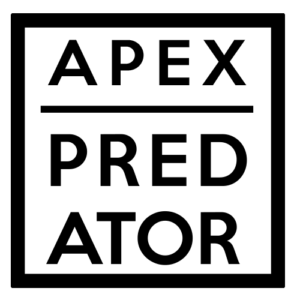 The APEX PREDATOR course is about high-yield performance. You will quickly develop your physical prowess—that dangerous element that separates you as the apex predator from the continuum of asocial predator. You will have the ability to wound, maim, or destroy, or to control, if you so choose. Over the last fourteen years, I have refined this specific training to produce capable, high-quality, combat-effective warriors. This course is the most significant foundation toward combat effectiveness. 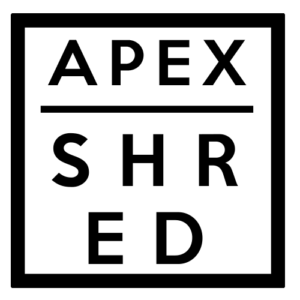 APEX SHRED is a continuation of APEX PREDATR. The primary focus of this course is learning to disable, maim and tear. Through the effective use of distancing and timing we teach you to set up, create opportunities to break or disjoin knees, elbows, shoulders, wrists, etc. You will also hone key techniques in order to take advantage of the body’s vulnerable points so that you can tear flesh during this type of encounter. In summary, you will learn to destroy the body’s structural integrity while inflicting very serious peripheral trauma. 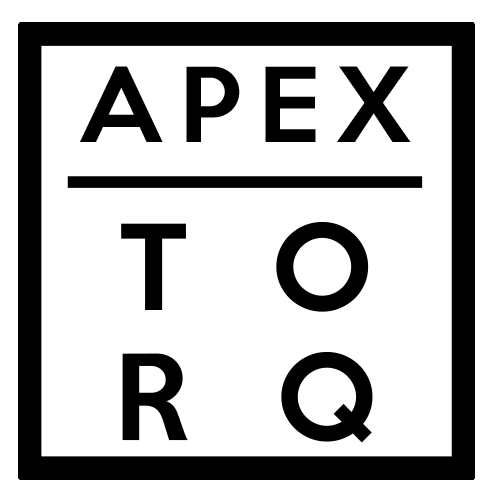 APEX TORQ is The ability to dominate and control your opponent without undue injury to them. In this course he will learn to control an opponent with joint locks and various pain-compliance techniques. You will learn to create opportunities and to set your opponent up so that you can take advantage of naturally occurring vulnerabilities. Most importantly, this course does not compromise solid, tactically sound fighting principles. This course is intended to be experienced after the platform of APEX PREDATR and APEX SHRED. When one uses control and compliance techniques, there is necessarily a built-in mercy-factor. (Otherwise a joint lock becomes a joint break.) in order to perform effectively in a close-quarters environment one must have the ability to escalate violently or the ability to disengage as needed. It requires a much higher skill set to be able to control an opponent then it does to injure or kill them. Another important component of APEX TORQ is that a no technic that you learn will require more than ten percent of your overall strength. Neither is this course a wrestling course. When performed correctly, combat on the ground is as effective as combat conducted when standing up right. That being said, I personally discourage purposely going to the ground. Being able to move laterally helps one to engage multiple opponents or to disengage as needed. 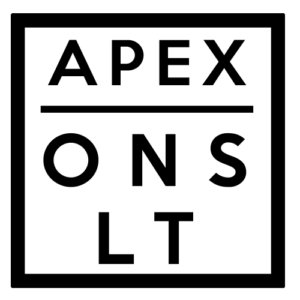 APEX ONSLAUGHT is the culmination of all that you have learned up to this time. In ONSLT we teach you to blend your skills so that you can move seamlessly from on distance to another, from inside to outside and back all the while reaping havoc and destruction. In this course you will learn to capitalize your opponent’s errors and to trap and break your opponents joints. You will learn to create windows of opportunity that change the dynamics of the confrontation. This is where you learn to interact with an opponent of advanced skill who may be capable of a higher level of combat. This is the ultimate in very close quarters, nose-to-nose fighting. 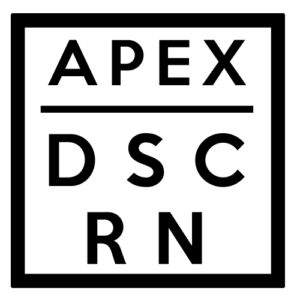 APEX DSCRN is a world-class course of instruction that will help you identify and articulate clearly behavioral indicators of malintent. With a clear understanding of why this behavioral leakage occurs you will be able to predict with a high degree of scientific probability malintent. This knowledge give you a very significant tactical edge as it pertains to close-quarters combat. Moreover, we will spend a great deal of time eradicating these behaviors from your own profile. As significant as this is, The greatest value in the course is learning to use timing, distancing, angles, and other specialized information to set up and engage an opponent so that they are unable to perceive your attack on them. 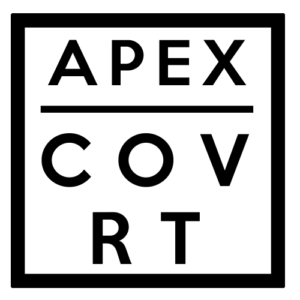 APEX COVRT is a course that is designed to help you utilize improvised weapons that are in your daily environment. This course blends the use of our structural environment, (tables, doors, chairs, counters) as well as readily available every day items (such as eating utensils, writing instruments, etc.) to induce pain compliance or trauma as needed. This course will also focus strongly on engaging opponents in such a manner that those around you do not realize that a confrontation is occurring. When performed properly the casual observer will either not have seen the engagement or you will appear to have been the victim regardless of the actual outcome. This course is ideal for those who must remain acutely aware of their position or social propriety. In summary, it is possible to engage in a conflict and make it look accidental or as if you are the victim in this circumstance. 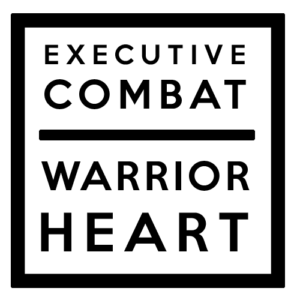 The Executive Combat experience requires a depth of relationship and commitment for both you and I. I welcome people that desire to be psychologically fit for the rigors of high-yield performance. If you are an executive leader, or if you are responsible for high-stake decisions, or if you simply want to be live with absolute psychological freedom, I can help you streamline your thought process for a clarity of mind and vision. You can participate in the psychological program as a stand-alone program or we can blend your experience with the public combat-curriculum as well as my more closely held secrets. The marriage of the martial arts with the biopsychosocial domains of cognition and affect produce significant changes in you. My training will enhance your ability to interact with others whether you are in a casual setting or if you are in tense, dynamic and uncertain circumstances and most certainly in the toxic environment of combat. Simply put, the training changes you. We will mine out your warrior heart. The curricula is comprehensive, personalized, and a long-term approach is taken to your training. I will take you on the in-depth journey. You will develop mental and psychological skills that few people are even aware of. Together, we will identify and address your psychological weaknesses. We will explore the reasons that you do the things you do: both, good and bad, healthy and unhealthy, constructive and destructive. This experience is a long-term psychological reset. This training can be hosted off-site at one of my personal site selections, at a destination location or within your home in accordance to your needs. Together we will set the frequency and duration of your training sessions. Many people choose to have one day-sessions. Others find it more beneficial to set a multiple day training session. We alter the frequency according to your needs. If you are interested in scheduling an initial consult simply submit your information.